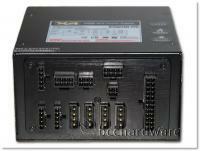 Over the past few months we've taken a look at a couple of power supplies from Ultra Products. We've looked at the monster 1200W unit as well as the 850W units recently and today we are following up with their entry-level 500W PSU. While this is the smallest of the X4 line, it still carries a premium price tag as it has a MSRP of $99.99 and this puts it in the high-end 500W PSU category. In our review we'll find out if it is in fact a high-end PSU or if Ultra has merely put mediocre innards in the X4 box. 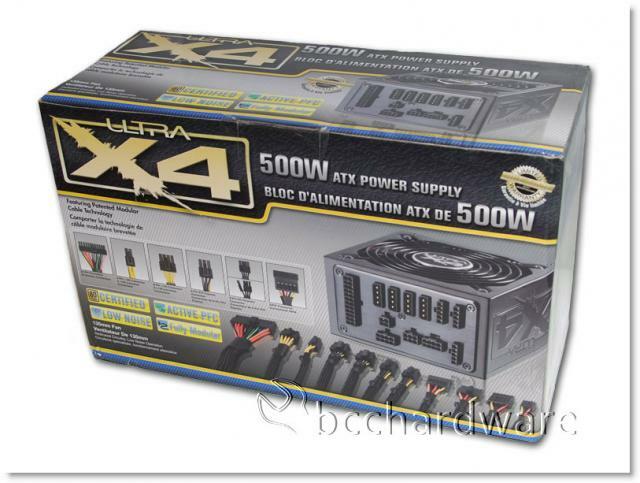 Ultra has kept all of the X4 Power Supply packaging pretty much the same. Everything from the 500W to the 1200W PSUs ship in almost identical boxes that show a bevy of specifications, information and a lot of pictures of the contents and cables. 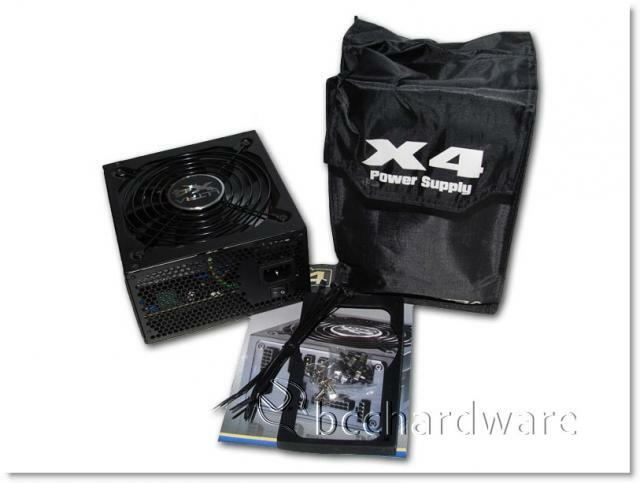 All Ultra X4 power supplies come with a 3 Year Standard Warranty and Limited Lifetime Warranty - should you choose to register the PSU on their site. 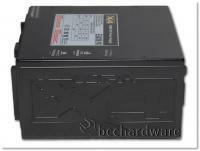 This may give you some peace of mind as it could certainly be the last major PSU purchase you need. Each Ultra X4 PSU meets different efficiency standards, and the 500W unit claims to be 80PLUS "Bronze" - just like the 1200W unit whereas the 850W version claims to be 80PLUS "Silver" certified. 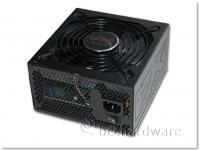 Often, enthusiasts think they need more power than they probably due and we've plugged this unit into our Core i7 920 system that uses a pair of 4870 graphics cards as well as a few other bits of hardware. This is a pretty beefy system and the power supply has not exploded, but for a multi-GPU system, a PSU that has more than two PCIe cables would be very handy. The Ultra X4 500W job only ships with a pair of cables for your graphics cards so we had to use Molex adapters as you'll see later on. This shouldn't be an issue though as the X4 series uses a single 12v rail. 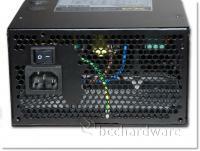 All of the X4 PSUs we've looked at look pretty much exactly the same on the outside. They have the same dimensions and this makes them easy to install in any system. 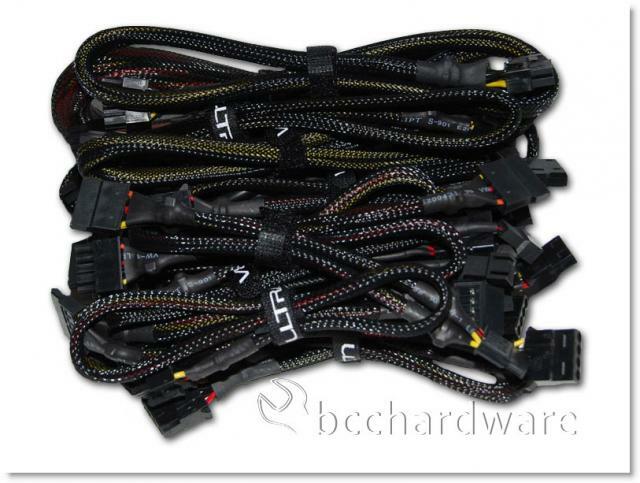 They are not notably larger or longer than cheap $30 PSUs that ship with OEM cases. The finish of this unit is very nice as you can see below. You can see that the PSU isn't very large, but this isn't necessarily a bad thing. Power components have become significantly smaller over the past few years and therefore, PSU's don't need to be massively over-sized in order to be powerful. Combined with the 80PLUS Bronze rating, this unit should remain cool and quiet if all goes well.